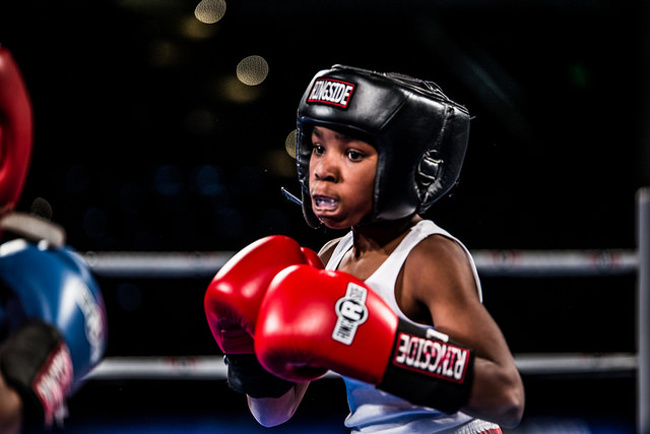 Can Boxing Help Save Baltimore’s Youth? This month, state officials approved plans for a new $30 million youth prison in Baltimore, Maryland. Two days later, Governor Larry Hogan opted to use $11.6 million set aside for the city’s school system to help finance the state’s pension fund. This all occurred, of course, against the backdrop of the killing of Baltimore’s Freddie Gray, a 25-year-old black man whose spinal cord was nearly severed while in police custody in April. His death sparked days of rioting, with the news media broadcasting images of teenagers setting fire to cars and businesses across Baltimore, a physical manifestation of the city’s pent up rage and frustration. If the events of the last several weeks have taught us anything, it is that there are systems in place in Baltimore City that set young people, particularly young people of color, up to fail. And the agencies designed to protect and serve these children often seem unable—or, perhaps worse, unwilling—to alter this reality for them. There are those within Baltimore’s boxing community, however, who are attempting to take the fate of the city’s youth into their own hands. They show children ages five and up how to throw jabs and hooks, how to bob and weave, how to jump rope and hit punching bags. But more than teaching the fundamentals of fighting, boxing programs have proved to be a useful tool for keeping at-risk youth in school, out of detention centers, and away from the gangs that infest their neighborhoods. Once a month, roughly 30 boys from the heart of Baltimore make the trek out to the nearby suburb of Columbia to work with Ritter at his gym, Elite SFN. Though the sessions are by all accounts a success, initially OMOL was hesitant to subject children from areas plagued by violent crime to such an intrinsically violent sport. The organization was used to having poets, journalists and city council members come speak to the kids—hoping to steer their aspirations toward academics rather than the streets—and at first glance a boxing program felt like a step in the wrong direction. Violence has indeed become an inescapable fact of life in Baltimore City in recent years. Between 2010 and 2014, 31 people died in the city following encounters with the police, the highest in the state, according to the ACLU. And so far in 2015 Baltimore has seen over 90 homicides, with the greatest number coming from the city’s Western District. But boxing is about violence only on the surface. For these young fighters, the sport offers the promise of discipline, a sense of self-worth, and a healthy channel for their aggressions. It is less about violence and more about the avoidance of a darker, more insidious violence that lurks beyond the gym doors. For trainers like Ritter—who grew up in New York City, bouncing between Harlem, Brooklyn and the Bronx before moving to Maryland as a teenager—it seems boxing is merely an avenue to show these kids that there are people in the community who are truly invested in their futures. Ritter himself is a boxing success story. 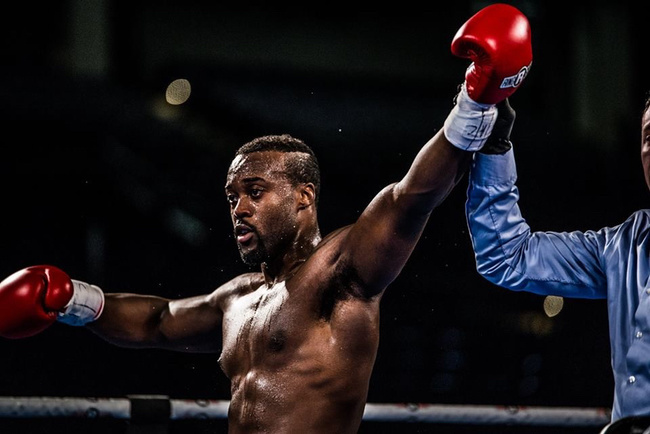 He has become a professional, yes, but the sport has also transformed him from a troubled student into a business owner and a role model in his community. His debut bout last November at the Royal Farms Arena marked the first professional fight in Baltimore in decades. 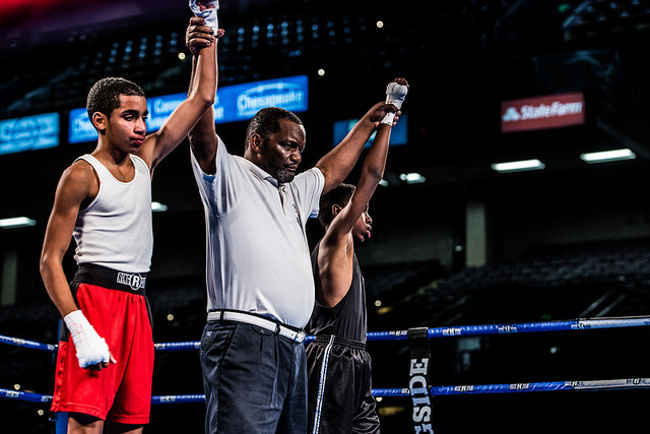 He won the match by knockout in the second round, but the real spectacle was the six amateur bouts put on the ticket before the main event—a dozen Baltimore kids ages 8 to 13, who the crowd said fought harder than the pros. The event was the first installment of the Baltimore Boxing Renaissance series and produced in part by Shabazz Shakur, a promoter in the area who also mentors young fighters at boxing gyms throughout the city. Shakur and his organization, Shabazz Brothers, cover expenses for Baltimore youth interested in training at local gyms. He’s seen the sport save children from homelessness and witnessed disagreements solved in the ring with a pair of gloves rather than on the street with a pair of guns. The city, he says, is lacking in youth centers and YMCAs, the schools too underfunded to sponsor all the programs the children need. He uses boxing as a conduit to preach the importance of education, and makes sure the children he works with show him their report cards before they’re able to first step foot in the gym. For Baltimore youth whose mothers and fathers aren’t always around “boxing became their parents in a way,” says Shakur. He claims that every child who fought at the Baltimore Boxing Renaissance has stopped getting into trouble since beginning their training. The sport offers these kids structure and self-confidence, but more importantly, the opportunity represents a showing of love, hope and support from their city.